The act of performing music is a very profound thing. Whether it’s creating something new, or communing with your favorite songs by finding the notes or singing at the top of your lungs. Of course it’s not easy; it’s a true skill. For some, the transition from loving music to learning to play music is an easy one. For others, the gift of making music is unrequited. There’s not often a middle ground where music lovers of all skills can share the experience of performance, of musical collaboration. That’s what makes Rock Band so special. That’s why the series’ return with Rock Band 4 should have you ready to get the band back together. Harmonix, creators of Rock Band, specialize in the gamification of music and have become the industry experts in creating a stepping stone between playing music and playing with music. That’s how seasoned musicians can have a blast playing for points alongside their novice friends. That’s how, since Rock Band‘s debut back in 2007, countless passionate players of the game have taken the fundamentals taught by Rock Band and become actual musicians. That’s how someone like me who’s hopelessly devoted to music, but can’t play a note, can experience the thrill of growing my vocal skills while rocking out with friends. 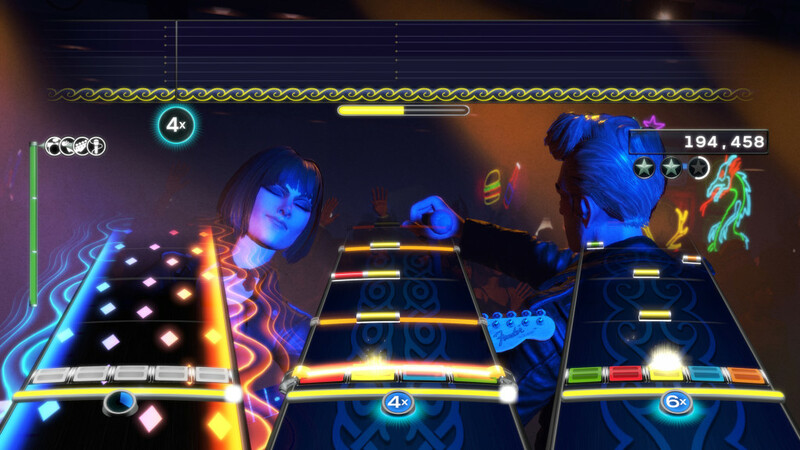 With Rock Band, Harmonix continually improved the interactive music game experience. What started as beat matching evolved into Pro modes; putting player’s skills to the test. And, what started as an extensive library of some of the greatest music of the 20th century, expanded to include user-created tracks from their own bands. 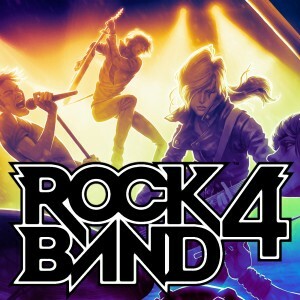 In Rock Band 4, Harmonix is doing more than playing their greatest hits, they’re porting the entire Rock Band experience to the next generation of gaming and crafting everything you love about the series into a perfected rockstravaganza. In the five year hiatus since Rock Band 3, the community Harmonix cultivated has kept the fire. Quite simply, even without a new game, rock ‘n’ roll never died. Rock Band 4 picks up right where they left off to the extent that the bulk of nearly all previously-released music (over 2,000 songs) will be available from day one. Any tracks you’ve previously bought are still yours provided your next-gen system is the same brand as the last (no Microsoft/ Sony crossovers). What’s more, nearly every Rock Band peripheral from 1st generation guitars to the obscure lighting and effects Stage Kit will work with the new game. But chances are you knew all that already; tales of Rock Band 4‘s backwards compatibility have been the toast of the town. Let’s get down to business: I played the new game, and it was awesome. Okay, you don’t really have to scrutinize all that – it reads quite complicated, but it’s actually really simple. In any song featuring a guitar solo (yes, even the old tracks) you’ll be able to build your own solo. 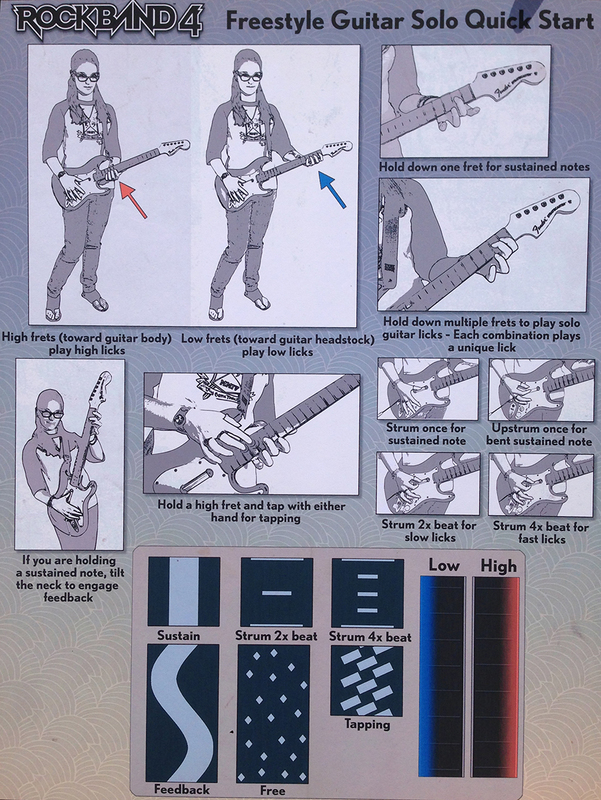 Rock Band 4 pulls from a library of audio matching the song at hand and generates suggestions indicated by the above visual cues. The game’s suggestions aren’t directly prescriptive to the player’s solo score, but can help offer guidance as to where to find the most complementary sounds for the song. Effectively saying things like, “maybe some quarter notes here, or try some finger tapping.” Truly next gen tech at work: prompts won’t be the same in every playthrough and these improvisations created by you do truly sound like they belong in the song – even if you’re taking it in discordant places. The drum fills are dynamic, and the vocal freestyling options (playable on Hard difficulty or above) offer a long-needed flexibility in how the game interprets “correct” singing. Rock Band has always had a great system for presenting vocals; superior to all karaoke games. But even the most talented singers could get frustrated with the rigidity of adhering to a single pitch to stay in the game. Now, so long as you’re in the right key, vocal improvisations will be rewarded. With these additions Rock Band 4 truly expresses the spirit of live performance. However, it’s not all gain for Rock Band. They’ve also trimmed off some dead wood: the keys and pro guitar of Rock Band 3. Both features were very, very cool. I personally loved the amazing mini keytar. But the simple fact was that by and large no one was using them. 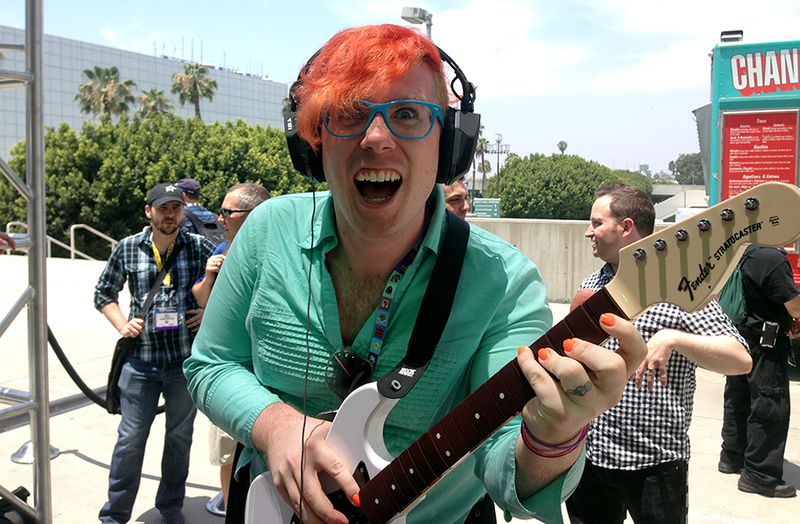 A year after Harmonix unveiled the ability to play Rock Band with a special Fender guitar, Rocksmith debuted; offering a platform that could hook up to virtually any guitar and served as a better educational tool. Pro keys and guitar were beautiful, advantageous ideas that unfortunately only served to overcomplicate. Fortunately, not all pro modes are gone. Pro drums and vocals are alive and well. And while you can certainly dust off the old gear, if you were ever considering an upgrade, now’s the time. The drumpads are sturdier, more velocity sensitive, and the kickpedals are metal reinforced. The guitar is tougher, sleeker and still distinctly more awesome than the Guitar Hero controller which in it’s latest incarnation still remains toy-like. Even the mic has beefed up, with increased sensitivity and a longer cable for less catastrophic couch-diving. Only a fraction of Rock Band 4‘s new tracks have been announced so far but feature a solid roster; from “Uptown Funk” to Fleetwood Mac, Jack White to Spin Doctors. And, making his video game debut: Elvis with “Suspicious Minds”. Mercy. The game debuts October 6th – plenty of time for tryouts to replace that good for nothing drummer of yours. Check out all our E3 coverage and join the discussion on the Nerdy Show Forums. Flame On :: Episode 209 :: The Witcher, The Switch, and the Fjord… Oh My! Flame On :: You Dry? Nerdy Show presents FLAME ON! An all-new, all-gay, all-geek podcast!